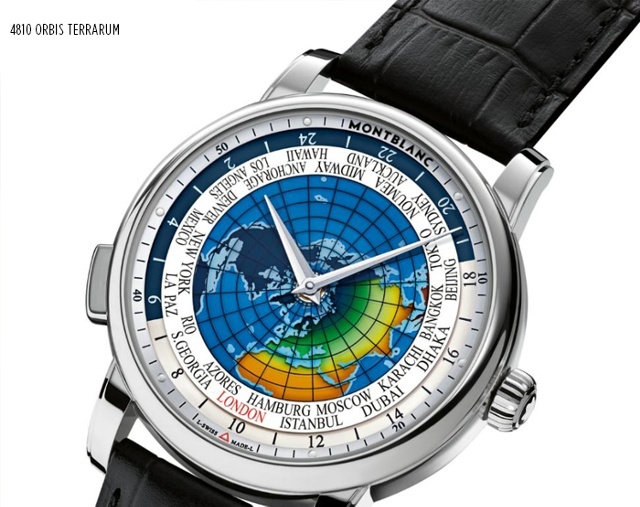 Montblanc celebrates its 110th anniversary in 2016 with a launch of new timepieces that are inspired by ocean travel. The famed writing instrument company was founded in 1906 in the port city of Hamburg, Germany. Through the 1930s Hamburg thrived as a cultural hub and a center of international trade. It was the city of departure for scores of cross-Atlantic voyages with many of its ships carrying passengers (and cargo) to the United States. Montblanc this year is inspired by these adventures. Its founders in that first decade of the 20th century embarked on their own Atlantic voyage to New York. Three company founders, engineer August Eberstein, merchant Alfred Nehemias and stationery trader Claus Voss, traveled by steamship to the United States where they were inspired to develop a writing instrument with a non-leaking body and a piston converter, laying the foundations for a business that four years later would be named Montblanc. With this in mind, Montblanc CEO Jérôme Lambert explains in this iW video that if he were coming to America as his company’s forebears did in the early 1900s, most people and himself included would have been wearing a pocket watch. 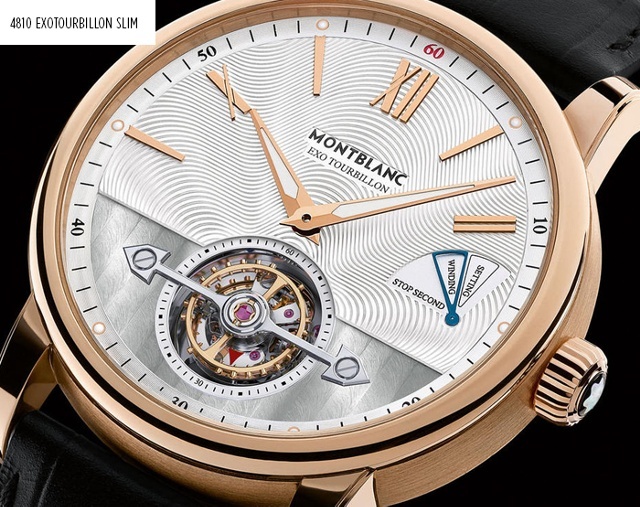 This helps explain why this year Montblanc features a pocket watch among its 2016 debuts. Montblanc’s 4810 collection commemorates those early 20th-century voyages by introducing three commemorative limited editions: the ExoTourbillon Slim 110 Years Edition, the TwinFly Chronograph 110 Years Edition and the Orbis Terrarum Pocket Watch 110 Years Edition. 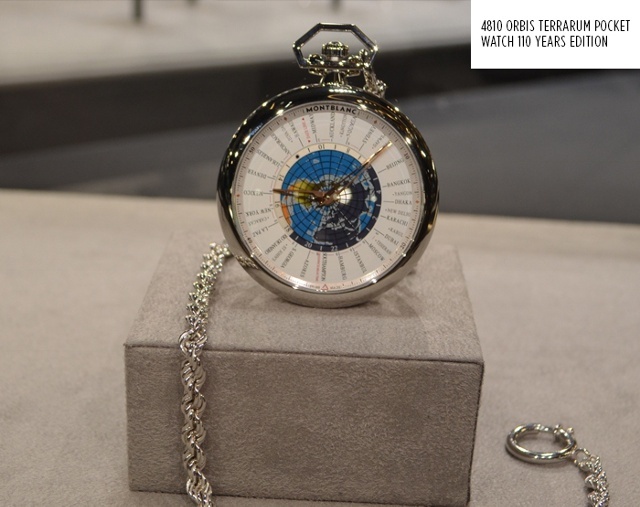 One of the new pieces, the Orbis Terrarum, allows the wearer to see the continents as viewed from the North Pole with 24 cities representing the different time zones. Hamburg is of course represented on the watch. The minutes of the home time are set via the crown. When travelling, the new local time zone is simply placed at 6 o’clock via the pusher at 8 o’clock, which works in one-hour jumps without affecting the minutes. The ExoTourbillon Slim is inspired by the golden age of transatlantic trade and travel and introduces the new Manufacture Calibre MB 29.21. Thanks to the special construction of the ExoTourbillon – with the balance wheel outside the tourbillon cage for a better isochronism of the balance’s oscillation – the stop-seconds mechanism halts the screwed balance wheel without losing its kinetic energy. Montblanc was created 110 years ago by gentlemen who took a trip. A trip to America, Lambert explains. The spirit and heritage of Montblanc is reflected in this new collection, he adds.